Hello ! First, let me thank you for your great website. If you do not answer questions from readers, just tell me, I would understand this. As far as I know squatting in the smith machine puts more stress on your knees than free (to parallel) squats do and has other problems as well. I got this information from Stuart's book and various websites. My problem is I just joined a new gym because the old one closed and immediately (after doing my first set of free squats) got into a discussion with one of the trainers (staff) there. He says that you can put your feet well in front of the bar on the smith and lean back into the machine and squat. That way your back will be straight and upright through the movement and unless the angle between your upper and lower leg is less than 90 deg., there would be no extra stress on the knees compared to free squats. My thoughts on this were that putting the feet in front of the bar creates a force on the knees from your feet pushing forward on the floor. Also, if you put your feet under the bar, squatting to 90 deg. is far from parallel, and would make it something like a quarter squat. If you squat to parallel with your feet under the bar it forces you to bend forward excessively and your shins will move forward a lot as well. Now I'm not active in sports science so I had no way to prove my claims. I even did a few medline searches but only found stuff on regular squats. What do you think of squatting in the smith machine? I feel the fixed path is unnatural and can't believe it's good for the knees and or back can you point me to some scientific studies that prove this? Or am I mistaken and there is no difference? Any help would be appreciated. I am the author and webmaster of an ExRx on the Net. Dr. Eric Serrano, the leading benefactor of ExRx and I have always been a supporter of your low volume recommendation. I recently received a question regarding the smith squat with reference to your site. I read "Experiments in the Gym: The Squat" by Bill Piche. He states "...the only thing I got was very sore knees. Avoid hack squats." I found his rational difficult to accept; recommending others to avoid an exercise due to HIS biomechanical deficiencies. 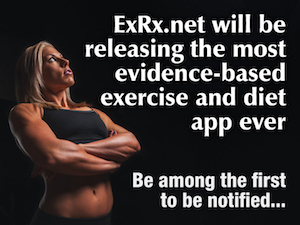 Before I post my response on the ExRx site, I would like to give you a chance to express your arguments. I am open to criticism. If you are too busy to respond, I understand. I just want to give you this opportunity to defend your position before I post. Perhaps both of us can achieve a greater understanding to alternative arguments. I'm responding, briefly, to your message re Smith machine squatting. I read your rough draft. I dislike the Smith machine squat for several reasons. I go into them in detail in my books. In a nutshell, three of the reasons are..
1. The machine locks the body into the machine's groove, and prevents the body from determining its groove. 2. If you stand with your feet pretty much underneath the bar, the knee flexion will be exaggerated, and stress there exaggerated too. 3. If you put your feet forward, to reduce knee flexion, the lower back is put in a weak position, with rounding of the lower back likely. In addition, there is additional stress on the knees as the feet want to slide forward but don't because of the friction from the floor surface. All in all, the Smith machine squat may give an illusion of safety relative to the barbell squat, but in reality it's a bad exercise. Sure there are degrees of "bad" depending on the specific form used, and the individual, but it's still a bad exercise. Rather than try to minimize the problems with a bad exercise, why not just stick to exercises that have far better potential? Of course, even the "safe" alternatives can be ruinous if not done properly, but best to stick with movements that have good potential. "First, there is no clinical evidence or research data whether published or not, of which I am aware (which of course may simply mean I haven't come across it yet) that would lead one to conclude (according to the accepted statistical methods for the treatment of data to establish a correlation or causal relationship) that squats performed on a Smith-machine apparatus pose any inherent danger to either the knees or the spine when performed correctly. If anyone can offer such evidence I would greatly (and sincerely) appreciate him or her sharing it, or letting me know where I can acquire it. Alternatively I would also be interested in discussing any Biomechanical models that he or she may have used to arrive at this conclusion. Anecdotal accounts, opinion, and conjecture, regardless of the source or the forum, do not constitute evidence." Modelling the joint torques and loadings during squatting at the Smith machine. Journal of Sports Science 29, 547-469 (2011). by A. Biscarini et al. For this reason this link was cited in the paper.